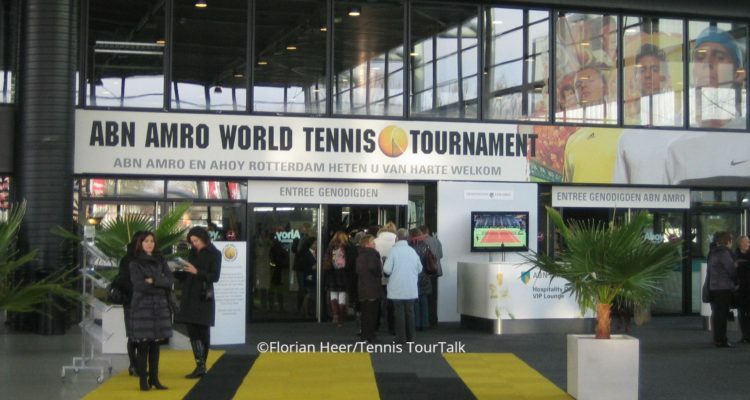 Rotterdam, New York and Buenos Aires to host ATP-events. A stacked field is set to compete at the ABN AMRO World Tennis Tournament, the first ATP 500 event of the season. Six of the Top 20 players in the ATP Rankings are in the field, led by World No. 7 Kei Nishikori. Nishikori is set to make his debut in Rotterdam. The 29-year-old Japanese star, who triumphed in Brisbane in the first week of the year, is pursuing his first ATP 500 trophy since Washington in 2015. Nishikori will open his title bid against Frenchman Pierre-Hugues Herbert. Four of the past five Rotterdam champions are in the field this year: Tomas Berdych (2014), Stan Wawrinka (2015), Martin Klizan (2016) and Jo-Wilfried Tsonga (2017). Other notable competitors include reigning Next Gen ATP Finals winner Stefanos Tsitsipas, World No. 11 Karen Khachanov and fourth seed Milos Raonic. The New York Open returns for a second year and will again feature a strong field. The top seed is 2018 Nitto ATP Finals qualifier John Isner, who will go for his 15th ATP Tour title. #NextGenATP US-American Frances Tiafoe, who reached his first Grand Slam quarterfinal last month, is the second seed, followed by third seed Steve Johnson of the U.S. and fourth seed Aussie John Millman, who ousted Roger Federer in New York last year to reach the US Open quarterfinals. Eleven-time ATP Tour titlist Dominic Thiem leads the field at the Argentina Open in Buenos Aires. Thiem, contesting in his first clay-court tournament of 2019, will try to win his ninth ATP Tour clay-court title. Italy’s Fabio Fognini is also no stranger to the clay in South America. The second seed won two clay-court titles last year, including the Brasil Open in Sao Paulo. Third seed Marco Cecchinato, who won two clay-court titles last year, and Argentina’s Diego Schwartzman round out the top four seeds. This entry was posted in ATP Tour, ATP Tour News and tagged ATP Tour, Buenos Aires, New York Open, Rotterdam.